Milwaukee, WI – Racism remains a problem in America, despite hopes that the country was ready to leave that problem behind and become a “post-racial” society. But parents still are often using post-racial language in talking about race to young children. That, says Erin Winkler, is a mistake. 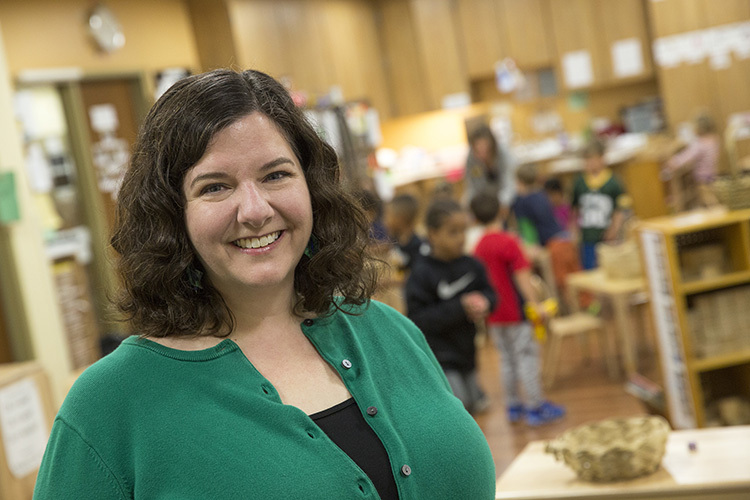 Winkler, an associate professor of Africology and urban studies, has studied the way children absorb the lessons of race, and found that children form racial impressions from environmental cues around them. That makes frank, age-appropriate discussions of race an important part of their awareness of racial issues. She is frequently invited to speak to parents and teachers about how to talk about race with children, and has served as a consultant to the National Museum of African American History and Culture. “It’s hard to talk to little kids about race,” Winkler acknowledges. “People prefer to talk to older children, who can appreciate the abstractions we’re comfortable using to discuss this complex issue. Winkler says it’s not a question of good or bad, but rather the way young minds absorb cues from their environment. And this points to the need for adults to help them. If children ask questions about this, adults may become uncomfortable, and may even give gruff responses that make kids think they are in trouble. Which brings us to the second issue Winkler addresses: There are systemic forms of racism that are difficult for children to comprehend, but can also be difficult for adults to recognize or admit – and discuss with kids. She points out that, in order to speak effectively about race, adults need to first get comfortable talking about race with other adults. That means exposing ourselves to challenges to our preconceptions and attitudes. Winkler recognizes that it’s not easy to talk about something as fraught as race. “Get rid of the guilt,” she advises. “It’s not your fault that you weren’t taught in schools about how systemic structures of racism have created many inequalities. In her talks to adults, Winkler offers practical suggestions about how to talk to kids about race. She suggests using the concept of fairness, which is clear and powerful to young children, but also to empower children to respond to unfairness. Since the history of racism in America is so complex, Winkler says, it’s useful to give young children concrete activities as analogies to abstract concepts. One such activity is the “spiderweb,” in which children roam a room unravelling balls of string. When asked to roll their string back up, they see that untangling the string – like untangling unfairness – is not so easy, though it can be done with time.